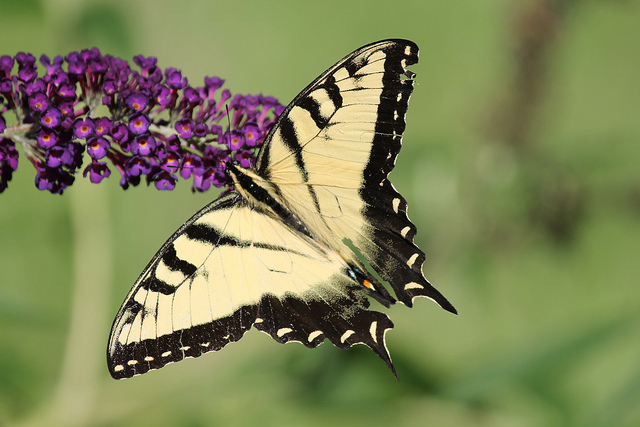 The lovely eastern tiger swallowtail is one of the most common and widely distributed swallowtail butterflies and is found throughout eastern USA and Canada. 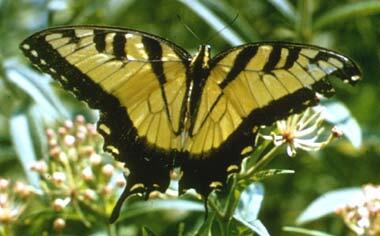 The male tiger swallowtail is always the familiar bright yellow with black striped markings. 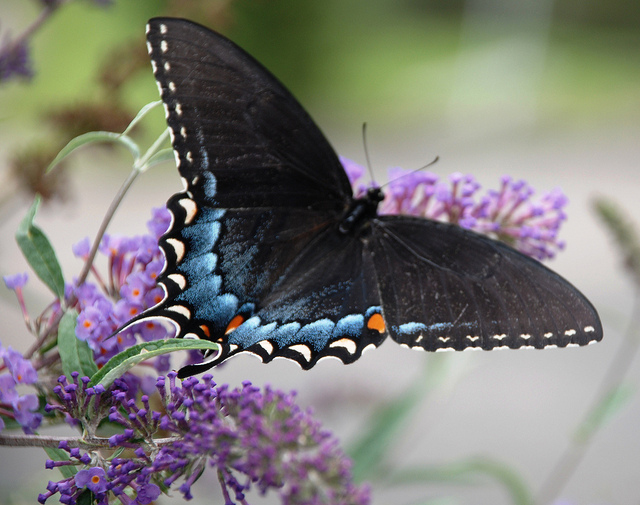 However, some females are dramatically camouflaged - they are dark brown to black, mimicking the poisonous pipevine swallowtail butterfly (which predators know to avoid because it tastes foul and can make them extremely ill). WHEREAS, it is only fitting and proper that the tiger swallowtail be designated as the official state butterfly. The tiger swallowtail is designated as the official Georgia state butterfly. Female eastern tiger swallowtail butterfly (Papilio glaucus); photo by jjjj56cp on Flickr (noncommercial use permitted with attribution / share alike). Eastern tiger swallowtail butterfly photo by Luther C. Goldman / U.S. Fish & Wildlife Service.